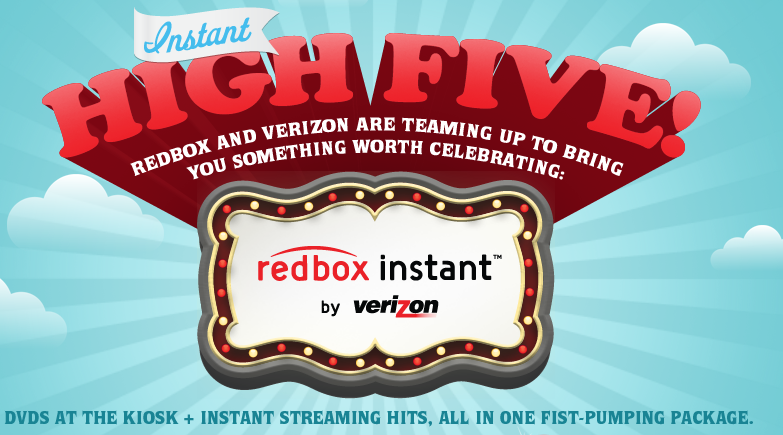 Back in February, Verizon and Redbox announced a joint-venture video service but said little else about it. Expect the new service to focus on movies instead of TV shows. That makes sense, because the existing Redbox service is basically a movie service. And it also makes sense because Netflix and Amazon are already spending lots of time and effort licensing TV shows for their subscription video services. But if you do want newish movies, you’ll have options: The service will offer customers a certain number of trips to Redbox kiosks, so you can get newish titles that way. And I believe it will also offer a la carte video-on-demand rentals, either at launch or later down the road. That is, anything you can rent from iTunes, Amazon, etc., should also be available through the JV. Don’t expect to get a different deal if you’re already a Verizon Fios customer. Unlike video services recently launched by Dish/Blockbuster and Comcast, this one is explicitly being offered beyond the 13-state “footprint” Verizon has built out for its Fios pay-TV service. That is, you don’t have to be a Verizon phone or video customer to get the service. But it will be marketed as a complimentary option to Fios and, for the time being, Fios customers will end up paying the same price as non-Fios customers. My hunch: Something in the $10-a-month range. 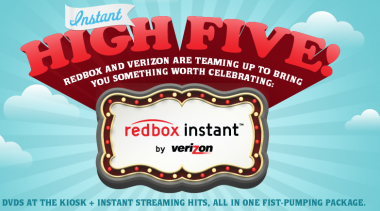 The more I hear about it, the more I think this is going to be a Redbox subscription offer with a smallish, ancillary streaming service bolted on. Pretty much the way Netflix used to work when Reed Hastings started with streaming a few years ago. That could morph into something bigger, later. But for now, I don’t think this one will keep Hastings up at night. Speaking of which: Netflix reports quarterly earnings today. Think that has anything to do with the timing of this morning’s announcement? In any case, I’ll have live coverage after 4 pm ET. See you then.